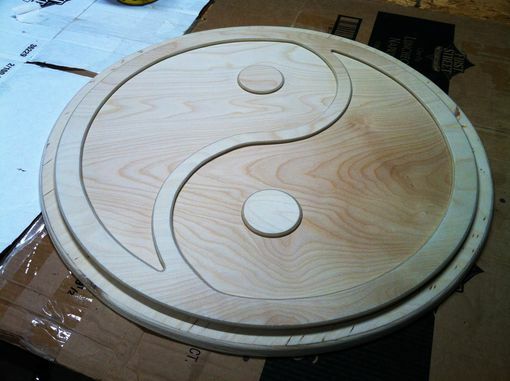 The first layer is a hand shaped circle stained natural. 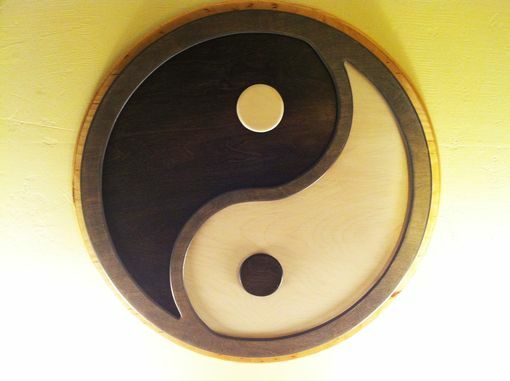 From this 1/4" pieces of opposing yin yang halves are popped off 1/4" with wood spacers. From this layer a third later of gray bordering and black and white balanced dots are popped out another 1/4" with wood spacers. 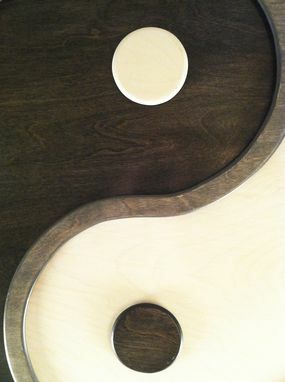 Together the piece has complex dimension and great balance with color and grain. 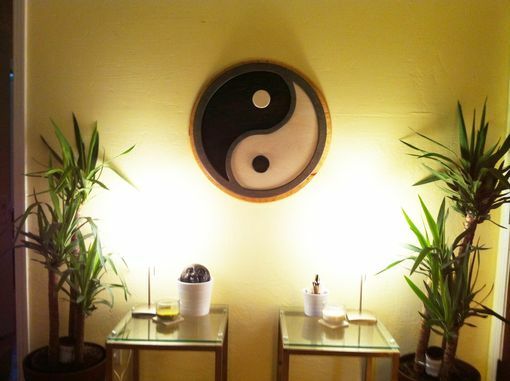 Special thanks to Dan for the vision of taking something so simple as a Yin Yang and turning it into this awesome piece! 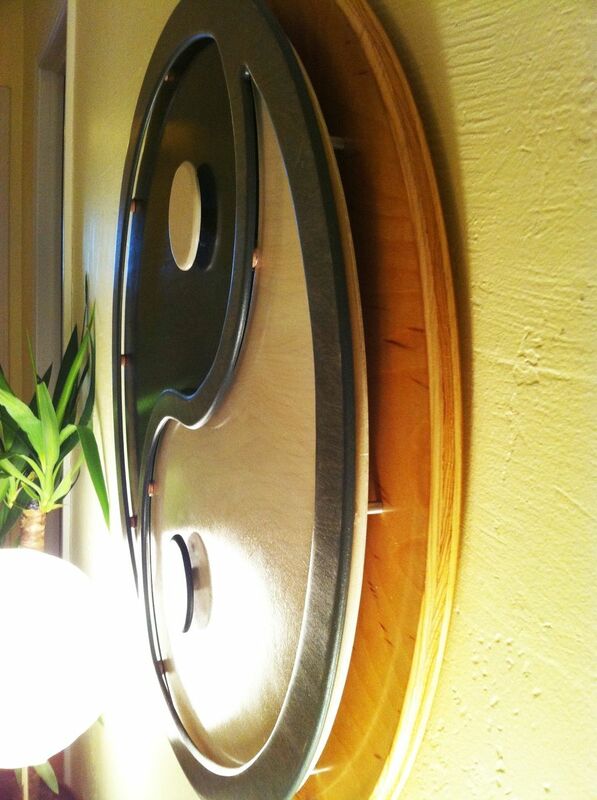 Dimensions: 3.5' circular diameter design.